The Saint City Jazz Band Pembrokeshire’s very own Trad. Jazz outfit. 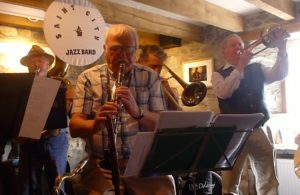 Formed in St. Davids Pembrokeshire in 2016 with the aim to play New Orleans style Trad Jazz. 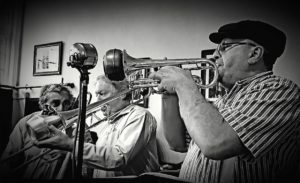 The Band has a “vintage” jazz sound that is enthusiastic and fun, covering some great tunes and songs from the early days of New Orleans Jazz.